This is a second part of Comparison of RFID, NFC and Barcode for Inventory Tracking. You can review the first part related to RFID here. 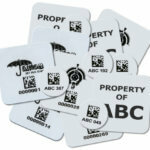 NFC Technology lays under the umbrella of RFID technology. 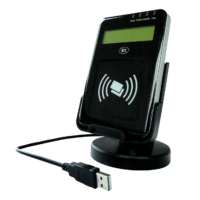 While the RFID technology that we discussed above for inventory tracking uses the UHF frequency (860 – 960 MHz), the NFC utilizes HF (13.56 MHz) and specific communication protocols. NFC has several advantages and disadvantages compared to UHF RFID. Cost savings by not needing a dedicated reader. To read NFC you can use one of many NFC enabled smart phones and tablets. 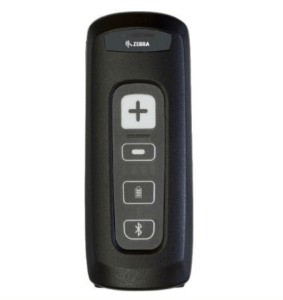 The same device can be also used to read barcodes, if you use them together with the NFC or for tag encoding. You can still use a separate reader if you choose and it often costs quite a bit less than a typical UHF reader. The tags can be very small. Much shorter read ranges – couple of inches at most. Due to very short ranges, tags have to be read individually, which takes more time and effort. The same rules apply for purchasing NFC tags as for purchasing UHF RFID tags. The prices will be similar, around 10 to 20% higher for NFC. All will depend on quantity and the type of the tag. You will have slightly smaller selection of form factors. You can use your existing smart phones if they are NFC enabled or purchase dedicated ones. The amount of devices that support NFC is growing every day and you can check the NFC forum page for the most current listing. The cost of the smart phone or tablet will be around $400 to $600. You can also purchase a dedicated NFC reader. Here are some examples of dedicated NFC readers: ACS ACR122L, TSL 1117 snap-on for a MC55/65 handheld, ACS ACR1251U USB Reader. Same software will apply for NFC implementation as for RFID implementation. You will still have selection of Cloud-based or On-Premises installation and all functions will be very similar to the RFID implementation. Costing will be the same as well. Again, an excellent example of such a software application (platform) is Tagmatiks. Read here how Tagmatiks is used for inventory tracking of uniforms. 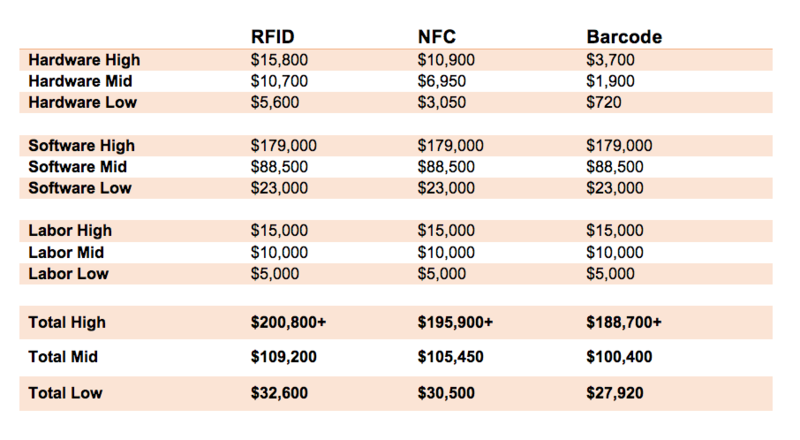 Below is an overview of the estimated costs of high, medium and low range NFC solution for inventory tracking. We are estimating a system with 1000 tags, one reader or smart phone, one NFC printer encoder as well as software and labor. Please note that the costs are estimates and the actual costs will differ based on the factors discussed earlier. And last but not least option for inventory tracking is using barcode. Some of you are already using it for a long time but some of you are wondering if it has a place in today’s world, when the technology and Internet of Things is exploding. Barcoding has several advantages and disadvantages. The largest advantage is much lower cost. Since tags or labels that you place on inventory items have no electronics in them as they are just plain labels printed on with a regular barcode printer, the cost of the tag is extremely low, around 1 cent (more or less, depending on quantity, size and material of the label). Also the barcode scanners are much cheaper than RFID readers and handhelds, couple of hundred dollars as opposed to thousands and so are the RFID printers. Items have to be scanned individually and from short distances. The barcode scanner has to be positioned just so, in order to be able to read the barcode. I am sure you had frustrating experiences at grocery store checkouts when trying to scan your items, just like most of us. Only limited information can be written into the 1-D barcode, slightly more to the 2-D barcode (which requires more sophisticated scanners and printers), but it is quite a bit less data than to the RFID tag. Some tags can have 8 kB of data! Labels are commonly accessible through various vendors; they can even be purchased at packaging or office supply vendors like Office Depot or U-line. You just have to make sure that they are the size you need, the right type for your printer and the material that will survive what you need (there are paper, polyester and other poly labels available). The cost of labels is quite low, around 1 – 2 cents per label, depending on the size and material. If you want to go with specialty labels like for instance Heat Seal Polyester Label, it would cost around $1 each for 1000 pcs and go down with volume, to about $0.3 for 5000. There are several types of scanners. For high volume processing such as on conveyor belts, the industrial barcode readers are required. For individual processing, shipping, receiving, validation, checking in and out, handheld scanners are used. 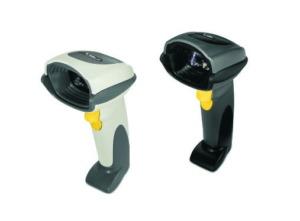 Handheld scanners range anywhere from $100 to $1000 and they differ by options (1D or 2D barcode), connection (corded, cordless), ruggedness, and whether they are disinfectant ready and therefore suitable for healthcare applications. In some cases, you can also use smart phones with a barcode app to scan the barcodes. In that case, you don’t need to purchase a barcode scanner. Barcode printers are used to print barcode and other information on the label that will be placed onto the tracked item. Depending on the barcode complexity (whether 1D or 2D), you will have to select proper resolution (2D barcodes require higher resolution printers). You have also options of industrial, regular desktop or even mobile barcode printers. 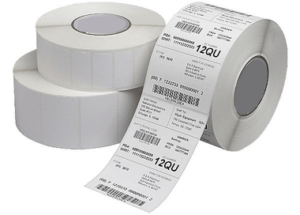 For thermal transfer printers you will also need a ribbon but you can use regular labels. 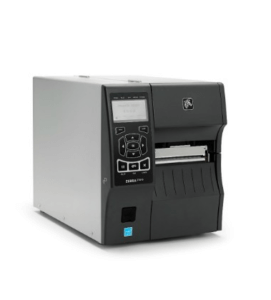 Desktop and mobile printers usually utilize direct thermal printing and you won’t need a ribbon but you will need suitable labels that are specifically made for direct thermal printing. Such labels will fade in the heat so if you need the print to survive harsh temperatures, thermal transfer is suggested. The software that will apply for Barcode implementation will be only slightly different than for RFID implementation. It will utilize different device drivers and data formats but the logic and business process handling will be the same. You will still have selection of Cloud-based or On-Premises installation and all functions will be very similar to the RFID implementation. Costing will be the same as well. Tagmatiks can be also used for barcode applications. Read here how Tagmatiks is used for asset tracking applications. 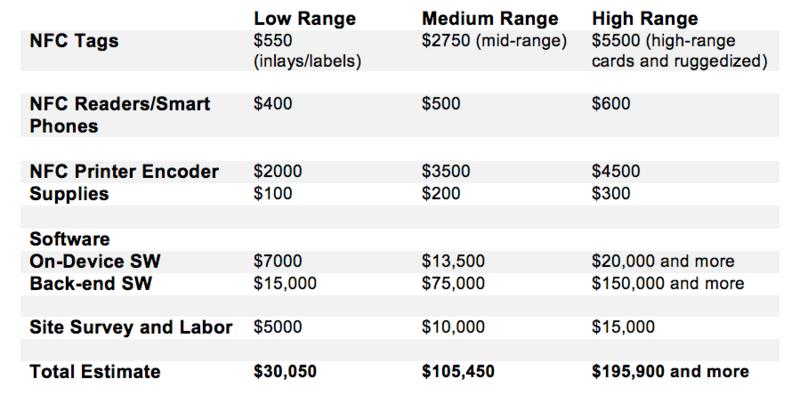 Below is an overview of the estimated costs of high, medium and low range Barcode solution for inventory tracking. We are estimating a system with 1000 labels, one barcode scanner, and one barcode printer as well as software and labor. Please note that the costs are estimates and the actual costs will differ based on the factors discussed earlier. At the conclusion of this two-part blog post I’d like provide a complete comparison of all three technologies and their ballpark costs. You will notice that the difference is quite minor, when talking about 1000 tags or labels and one reader and printer each. The biggest chunk of cost will be the software. The difference will deepen with volumes. As you go for thousands or tens of thousands of tracked items, the hardware will cost you exponentially more even though you will receive quantity discounts and software will stay the same (or its cost will grow much slower). What do you think about the comparison? For Part 1 of this post that discussed RFID in detail, click here.